Design and create mobile and web load test for easy cloud-based testing without the need to schedule, deploy, and manage load generators. 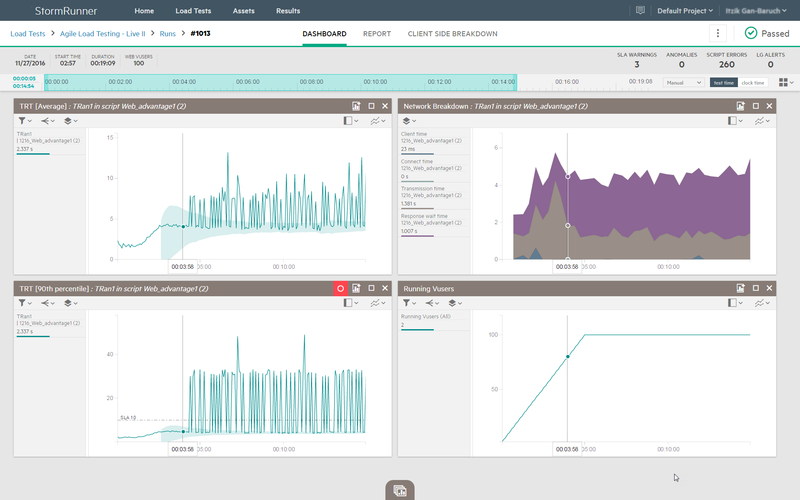 Detect problems fast and find your root cause with comprehensive analytics. Scale from 1 tester to 2,000,000 or more geographically distributed web and mobile users, add or remove them during runs. 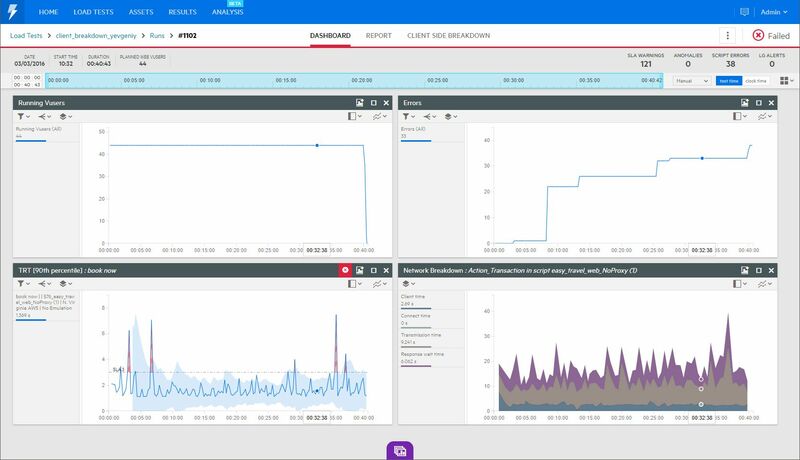 An intuitive dashboard provides complete, real-time network breakdown to isolate and remediate application performance bottlenecks. 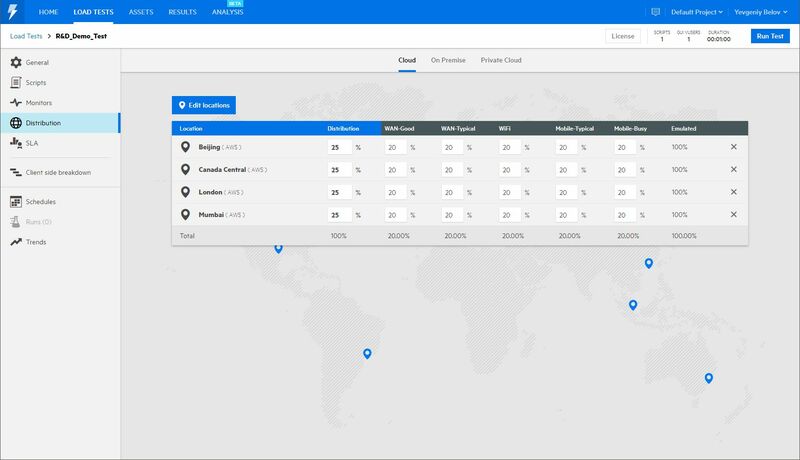 Create real-world scenario by generating load from global cloud regions to emulate real networks during load tests. 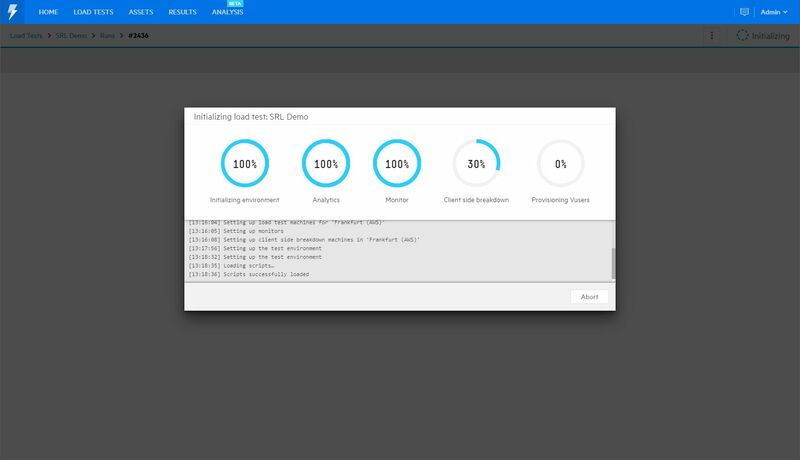 StormRunner Load initializes on demand load generation machines in the private or public cloud. A sample TruAPI script written in Node.js using your own IDE allows you to code your performance test with your favorite tools. 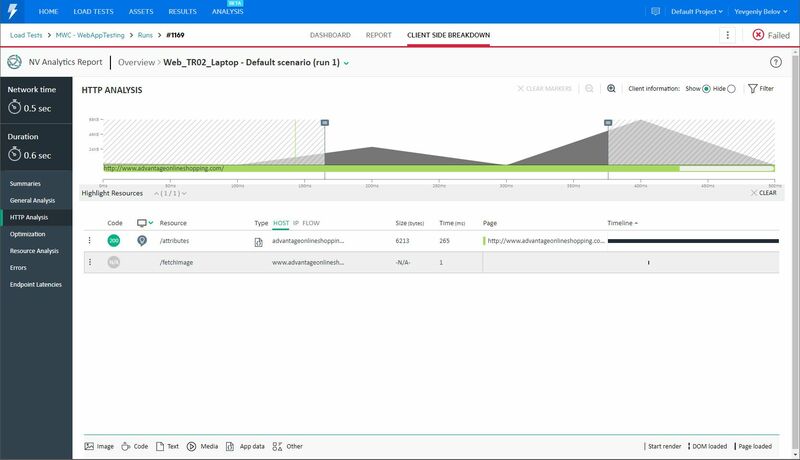 NV Analytics report analyzes the transaction response times and provides you optimization steps to fix performance issues. StormRunner Load is a flexible, cost effective software solution that allows us to run large concurrency testing on our customer facing web applications. Multiple cycles can be quickly ramped up for testing changes to our business websites/applications. If we had not run this project in the way we did, a hit and run test like this would have needed 600GB of memory and 60 CPUs. We would have to buy these machines, get them up and running and then decommission them after one week which doesn’t make any sense at all. When you need this kind of resource, cloud is the way to go and that is the value of StormRunner Load. 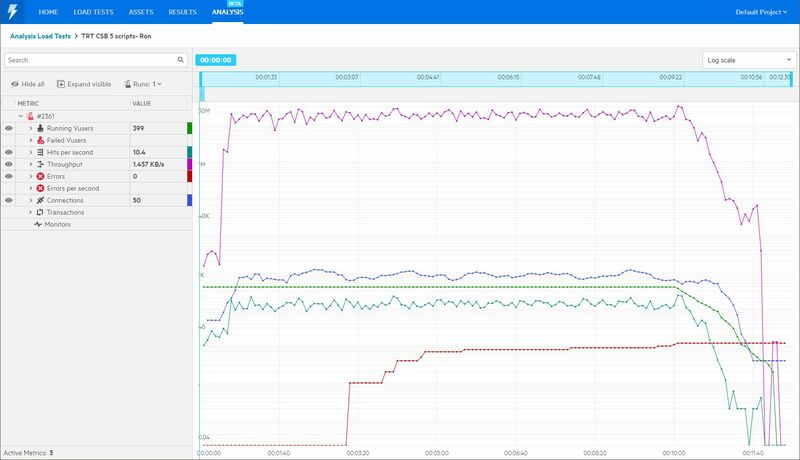 We used StormRunner Load for performance testing. We looked at peak times and at double peak to make sure that we could cope if we had a big influx of people. We also went much higher than that to see at what point we would start to see any detrimental effects on our website. We validated 20+ websites for a minimum of 700 transactions every second, and that is key to keeping the business going.